Like this beautiful crystal - which is so often mistaken for Lapis Lazuli - this spellbinding crystal suggests you may find yourself feeling slightly used by someone around you this week. Unanswered messages to friends, colleagues and loved ones may leave you feeling very unappreciated, and you may need to distance yourself from a very one-sided friendship too. Prevent their negativity from leaving you teary by keeping a Sodalite nearby. Synonymous with inner peace and harmony, this enchanting crystal suggests you may find yourself feeling slightly overwhelmed by your responsibilities this week. Worries about money - and unreasonable demands from friends and loved ones - may leave you feeling very drained, and you may need to stand your ground with a very selfish person around you too. Calm your heart and mind - and leave your worries behind - by keeping a Smithsonite nearby. Known as a stone of friendship, this beautiful crystal suggests you may find yourself feeling very torn between two people around you this week. Disagreements between friends, colleagues and family members may leave you feeling very unsettled, and you could receive an unexpected message from a long lost friend or family member too. Protect yourself from any bad vibes around you - and celebrate the people who love you - by keeping a Turquoise nearby. Prized for centuries, this spellbinding crystal has bewitched the hearts of some of the world’s greatest icons, and is thought to be one of Adele’s favourite crystals. Synonymous with courage, confidence and protection, it suggests you may find yourself feeling very wary of someone around you this week. Overly-confident behaviour from friends and colleagues may leave you feeling slightly annoyed, and someone’s rude or arrogant attitude could really get on your nerves too! Thought to maximise our strength and courage - and help us leave the past behind us - this beautiful crystal suggests you may see a softer side to someone around you this week. Tearful outbursts from bosses, colleagues and friends may leave you feeling very surprised, and you may find yourself feeling very inspired by someone around you too. Wave your worries goodbye - and keep your confidence sky high - by keeping a Bloodstone nearby. Synonymous with love and healing, this enchanting crystal suggests you may find yourself feeling very suffocated by someone around you this week. Attention-seeking behaviour from friends and loved ones could leave you feeling very drained, and you may need to give someone a piece of your mind too. 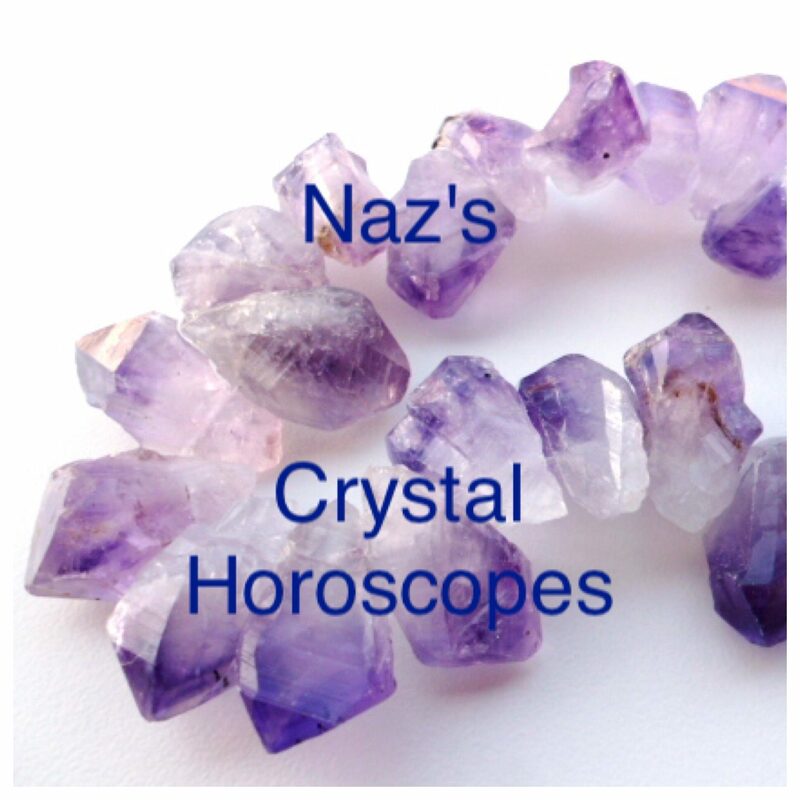 Prevent their bad vibes and negative energy from zapping your energy by keeping an Amethyst in your home or work place, or holding one by your forehead. Adorned with pretty little spots, this stunning crystal suggests you may find yourself feeling very passionate about a new interest this week. Issues concerning animals, healthy eating and human rights may leave you feeling very inspired, and there could be an opportunity for you to turn a hobby or pastime into a career too! Keep your confidence high by placing a Dalmatian Jasper in your home or work place, or simply keeping one with you each day. Adored for centuries, this beautiful crystal suggests you could see a darker side to someone around you this week. Snake-y behaviour from friends, colleagues and loved ones may leave you feeling very betrayed, and someone you thought you could trust could try to take advantage of your kindness too. Prevent their pettiness and jealousy from affecting your positivity by keeping an Amber in your home or work place, or wearing a piece of Amber jewellery each day. Synonymous with the sea and water, this stunning crystal suggests you may find yourself feeling slightly emotional this week. Worries about money - and fears about the future - may leave you feeling very tearful, and you may need to reach out to a friend or family member for their help and support too. Nurture your troubled mind by keeping an Aquamarine in your bedroom, or placing one beside a photo of yourself as a child. Known as a stone of letting go and forgiveness, this stunning crystal suggests you may need to forgive a friend, colleague or loved one for a past mistake this week. Heartfelt messages from friends and family members may leave you feeling very touched, and someone you love could surprise you with their kindness too. Wave the past goodbye by keeping a Snowflake Obsidian in your bedroom, or placing one beside a photo of you and your loved ones.